Within the space of an hour, not one but two blogworthy devices hit Ogle Earth’s radar screen: Small surreptitious GPS tracking devices whose output you can easily view in Google Earth. A cheaper option is the TrackStick, basically a 1GB USB memory stick with built-in GPS tracking. You can find out where it’s been just by plugging it into your computer, apparently, and you can then access the GPS data, including in Google Earth’s KML format. $300 and no additional fees, but no live tracking either. And you better hope the kids you’re trying to track don’t find it. 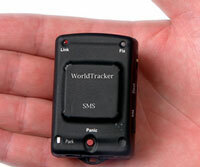 Cheaper tracking option: Accutracking.com offers a $100 GPS cell phone that will relay its position back to their web site in real time. It’s $6/month for cell phone data service, but Accutracking itself is free for non-commercial use. They let you download the data in CSV; it should be easy to convert to KML. No there isn’t, Daniel. Every1 will tell you data is on average a year or two old.